JNN 29 June 2014 TEHRAN – The Iranian Foreign Ministry on Wednesday dismissed rumors that Iran had sent 130 fighter jets to Iraq. 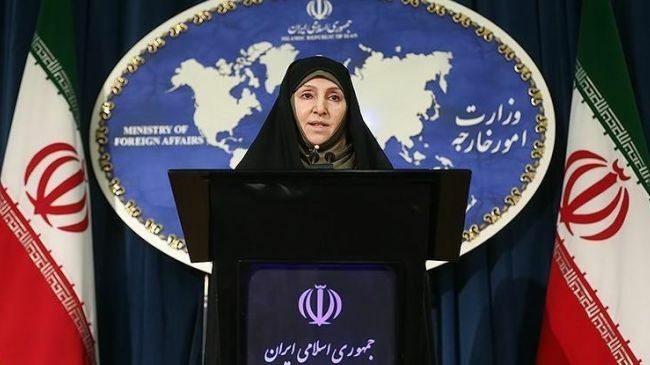 This matter has also been denied by Iraqi officials, Foreign Ministry spokeswoman Marzieh Afkham told a press conference. It was reported on Monday that Iraqi military spokesman Gen. Qasem Atta has announced that Iran has given back 130 Iraqi jet fighters which had been stored in Iran since the Iraq-Kuwait war in 1990. Analyzing the situation in the region, Afkham said that terrorism is not restricted to one region and expansion of terrorism is a source of concern for various countries. She added raising people’s awareness and boosting the countries’ national unity are two key elements in fighting terrorism. Afkham also dismissed media reports that Iran has deployed troops in Iraq. She also refuted the claim that Qods guards commander Qassem Soleimani is in Iraq to give military advices to Iraqis in their war against ISIL terrorists. Asked on the possibility of Iran’s cooperation with the U.S. in war against ISIL in Iraq, she said Iraq has not asked for help yet and in that case Iran will consider the issue according to international protocols and then will decide on the form of the help. Militants of the Islamic State of Iraq and the Levant have captured several areas in northern and western Iraq over the past two weeks, and are threatening to dismember Iraq and unleash all-out sectarian warfare with no regard for national borders. The ISIL militants have vowed to continue their military offensive until they reach Baghdad, but Iraqi forces and around 1.5 million volunteers have succeeded in halting the terrorists’ advance and pushing the militants back in some areas. On remarks by Kurdistan’s Prime Minister Nechervan Idris Barzani about formation of an autonomous Sunni region in Iraq, Afkham said all the Iraqi groups and parties want a united country. She expressed hope that the clashes erupted in Iraq would come to an end through boosting national unity. She called on the international community to meet its responsibility to help Iraq at this difficult time. The foreign ministry spokeswoman also said Iran has entered nuclear talks seriously and with “political will”. Iran has not changed its position in reaching a comprehensive and final deal based on its rights to use nuclear energy peacefully, she stated. Iran has always announced that its nuclear program is peaceful and concerns raised by certain Western countries in this respect are unfounded, she noted. She added that there are sufficient evidences including reports by UN nuclear watchdog which prove this. In response to a question about the probability of signing the Additional Protocol by Iran, Afkham said the issue will be considered after reaching a final agreement. However, she added Majlis has the final say on that. The Additional Protocol allows greater scrutiny of nuclear activities of the countries which have signed the nuclear Non-Proliferation Treaty. Iran and the six world powers wrapped up their latest round of negotiations in the Austrian city of Vienna last Friday which is meant to build on the interim nuclear deal they clinched last November in Geneva. This entry was posted in Iran News, Jafria and tagged iran, Iran FO, Jet Fighters, Quds Force. Bookmark the permalink. I WOULD HAVE BEEN FAR HAPPIER IF THEY WOULD HAVE SENT . IRAQI FORCES COMPRISING BOTH SHIA AND SUNNI ARE KILLING AND DRIVING AWAY THE TAKFIRI WAHABI FORCES OF ISIS OR ISIL , WHATEVER THESE ‘ INFIDEL ARE NAMED WHO HAVE NOTHING TO DO WITH ISLAM . THE HOT RED FLAMES OF JAHANNAM WHERE BLUE CLAD HOURIES SHALL OFFER THEM ALCOHOL ADULTRATED WITH PUSS .